Endlessly praised as "Meh, could be better" and "Wow, **** those giant quick fix medics!" Download it right now! And then you, too, can tell everyone, "Yeah, I played it. It was okay." Seriously, though, thank you very much. Doing a quick lighting pass to resolve the dark areas, then will start on robots and pop files. Wow. Looks really nice. 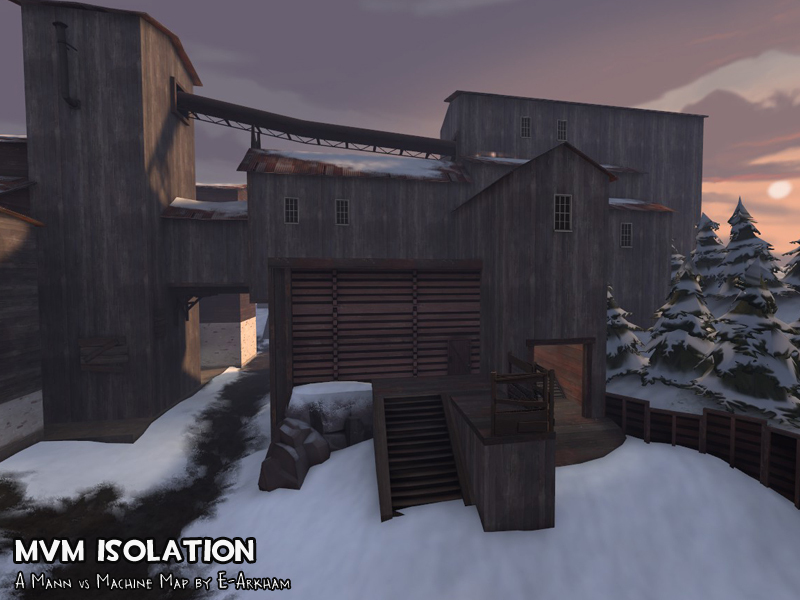 I can't say I've seen too many snowy MvM maps either. An overhead shot of the map would be cool if you could take one. Carve tool or go home. Updated. First release is a B1 (because reasons). Tanks and crit axe pyros and samurai and giants and death pits oh my! May be too difficult cause I used crit axe pyros in place of melee scouts. Then again, a single sentry will pretty much clean those out so who knows. The Forward Upgrade Station should be open on map start. The following wave feedback is speculation based off a single player run with max upgrades and all crits. Wave 1, probably easy, it's just a bunch of melee dudes that trickle in, then a few Giants with no significant support. Wave 2, seems good, will finalise opinion in a fully manned test. 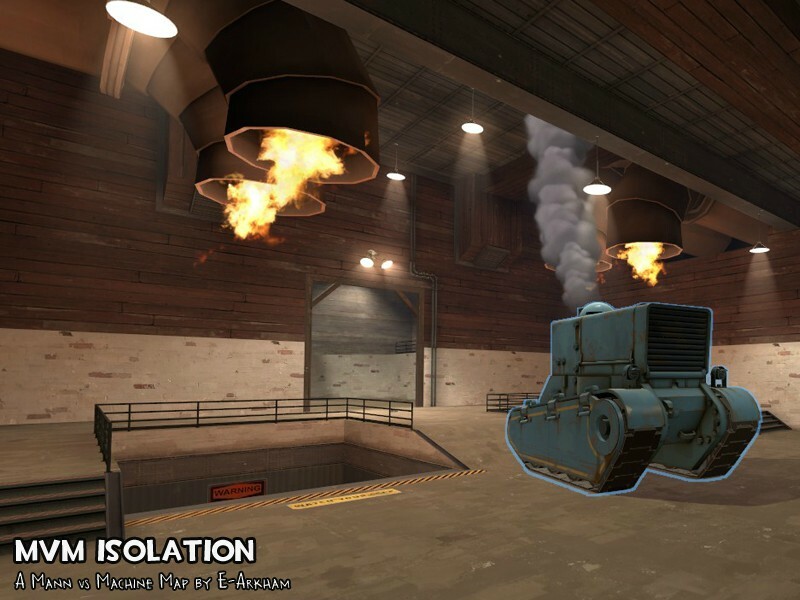 Wave 3, should probably include a wooden barrier where the tank spawns to prevent getting significant damage off before it enters the playing field, I thought your Axe Pyros started a little late and only spawning a single Spy is laughably easy to the point you may as well not have spawned one. Wave 4, seem good but more difficult than previous waves, possibly replace Giant Rapid Fire Soldier with Giant Charged Soldier, once the Giant Pyros are dead it's just a waiting game, will need to finalise opinion in a fully manned test. Wave 5, seems good, was confused about where the second tank spawn was, a single Quick-Fix Medic and a Giant isn't much, I suggest a single Uber Medic, your Pyros start late again which make the first Giant a piece of cake. That's probably why I couldn't get my Giant Huntsman and Samurai to be giants. Otherwise, I'm just using standard templates. B2 will have that updated. Uptweaked the difficulty of a couple of waves based on that feedback, and added a skybox and a bit of detailing inside the defender's spawn. Now has the giant samurai and huntsmen I wanted before! Huzzar! I did not add a barricade for the tanks due to them not fitting the map when they explode. Eventually I'd like to add a custom one, but for now the tank HP has been slightly increased to compensate for the early damage against them. Still pretty heavily untested, but such is the contest deadline. EArkham was behind his computer, with a plan. His chessmaster mind told him "This is it. Make that move." He had been mapping and nobody knew it. To describe his map, he put his emotion as the name of it. EDIT: I just wanted to write something. Don't judge me, goddamnit! Looks baller. The use of fire particles is genius. EArkham was behind his computer, with a plan. The use of fire particles is genius. It gives you that feeling of Barnblitz. Haven't played it yet, but looking forward to. Has anyone else found that when this mission is completed the server won't change to the next map in rotation? Asking because I can't figure out if it's something to do with my config, or something map specific, or simply Valve being Valve. 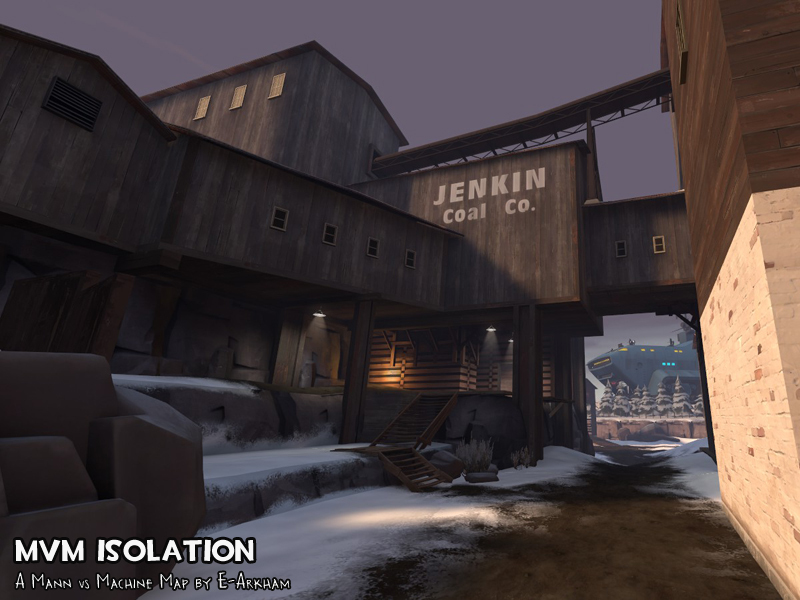 I have all of the TF2Maps MvM contest maps in rotation and most of them rotate fine after victory but noticed that this one in particular consistently won't rotate after victory. Try changing the order of the rotation and seeing if it still happens at the end of isolation, and not at the beginning of some other map. There's nothing special in the map's logic, so unless it's something weird like the pop file structure missing a closing bracket, I don't think it'd be the map. But who knows. Your overall layout I think works very well, in terms of bot routes. However, one thing in particular bothers me: it's really hard to get high ground over the bots! I found myself fighting at ground level with most of the bots, which while it works, became a bit monotonous. It also worries me, because I think it will limit how radical you can make your pop files – the pop file and the map work very well together, but other bot types would probably not work nearly as well. You should rework the bot drop-off area to make more a strong holding spot, and while the central building kinda works as one, the roof is exposed, has falloff issues, and has no ammo/health pickups. 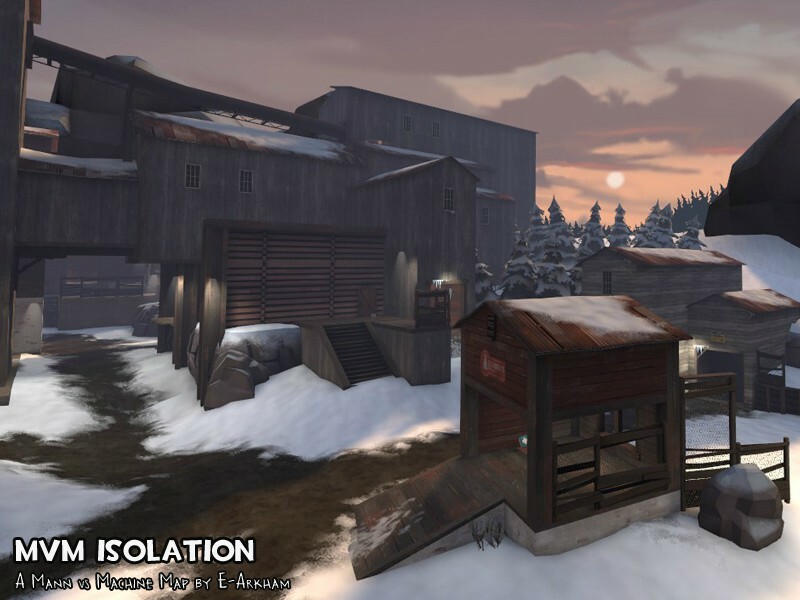 You've got something good on your hands, and I think making more high ground would make the map even more accessible to other kinds of gameplay. As I mentioned earlier, the map and the waves work together very well. Usually, if we failed a wave once, we were able to beat it the next time. This is good, because the players are required to try a different strategy rather than just try harder. I especially liked that your final wave was intimidating – your use of lots of cash and a bit of a wait before bots start appearing goes a long way. Biggest gripe I have is that huntsman snipers are really annoying in any situation, since you just lose a lot of health without much warning. 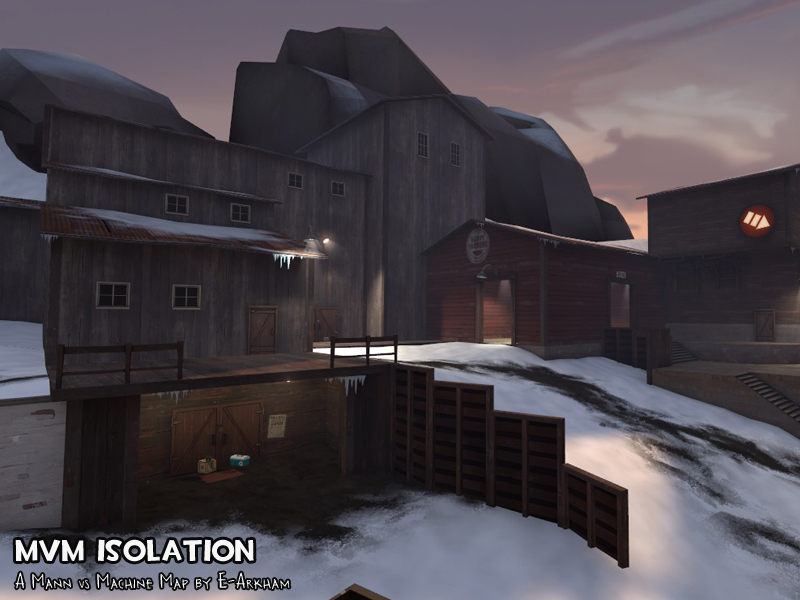 You really nailed the style, and it could be pretty easily mistaken for a Valve map. I really have nothing to say, other than you don't get a 10 because of the bareness of the detailing. Stick some more stuff in, and you've got yourself something really awesome. I'll be working on B3 to address the various issues mentioned from commentary as well as the feedback page. Thanks very much! 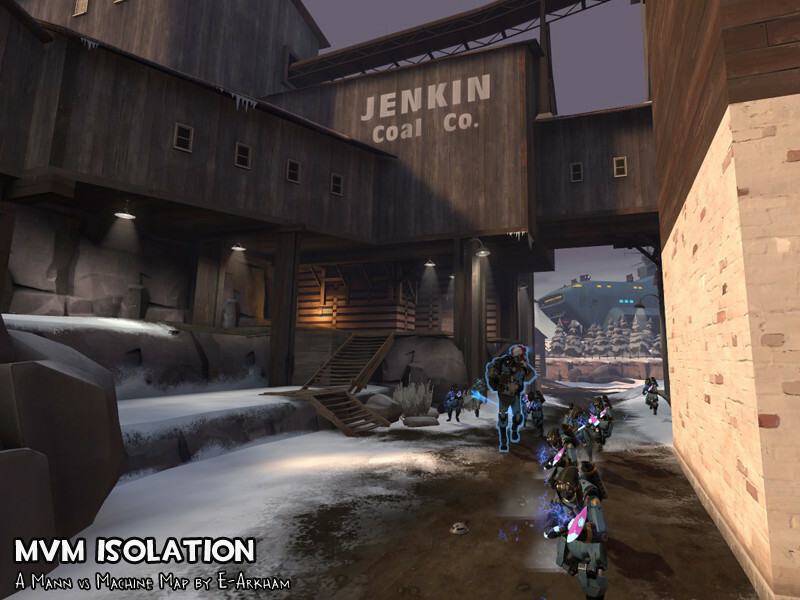 Got a video featuring your MvM map on the Cafe of Broken Ro-Bots server. Your spies got stuck in the forward upgrade store: its unique design trapped them inside even though players can exit the store after the wave starts. Here are the trapped spies I was talking about. There was at least one major sight line on the map: right after the player spawn. Spawn sight line in purple. There's also another major sight line in green if you remain on lower ground. Working on B3, have most of the issues worked out. To stop money from falling into the death pits, I'm using func_clip_vphysics filtered on BLU and it seems to work -- RED can still use sandman balls, flying guilotines, etc over the pit (these are physics not projectiles, strangely enough) and I haven't been able to make money fall in by killing robots there. However I crashed once -- I think it was due to an unrelated typo in the pop file, and the crash happened right around that point in the pop file -- but I'd like to know if anyone has any experience using func_clip_vphysics in TF2. How reliable/stable it is, etc, etc before I do a release of this version.